Two of Finland’s finest team up for a dual doom assault. 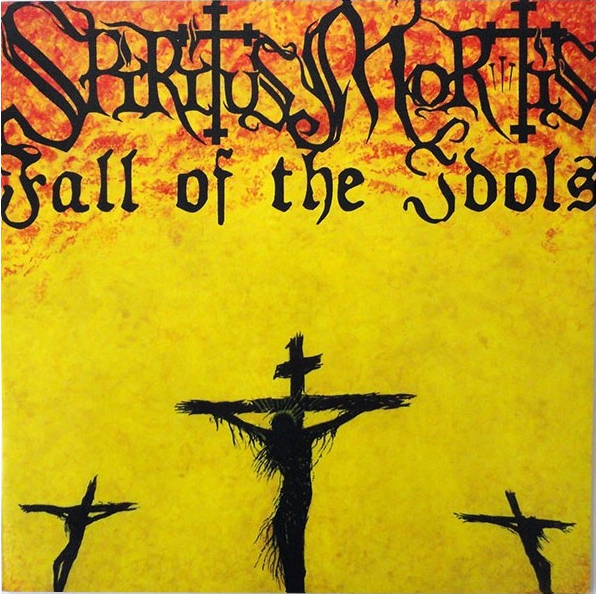 Spiritus Mortis offers us three tracks: A Uriah Heep cover, a brand new tribute to Robert E. Howard’s puritan avenger, Solomon Kane, and a re-recorded, longer version of the band’s crowd pleaser “Rise From Hell”, now even more menacing and evil. Fall of the Idols in turn provide us with two new songs in a more heavy metal oriented fashion than we’ve heard before. 2nd pressing, 300 copies red vinyl this time. After these copies the vinyl will be sold out forever!